We all know that driving from the Northshore to New Orleans isn’t fun, especially when all you really want to do is beat the game day traffic and start tailgating! That’s where Royal Coach Limousines comes in. With our wide selection of limousines and party buses, you and your krewe can start the tailgate early before you ever hit the Causeway. One of our professional, trained drivers will safely transport you and your group from the Northshore to the Mercedes-Benz Superdome, you can start enjoying adult beverages before you even step inside your limousine or party bus, nobody has to give up on all the fun by becoming a designated driver, and most importantly, nobody will risk getting a DWI on the way home. Best of yet, when you choose one of our party buses or limousines, you get to ride in style! Each party bus is equipped with a bar, decorative lights, flat screen TV, DVD player and CD player. Our limousines also feature decorative lighting, AM/FM/CD stereos, a TV with a DVD player, dual rear A/C, a bar, and accessible controls – and We Believe in letting you choose the music you like, or no music at all. Making the Most of Game Day! Even if you’re a season ticket holder, it’s probably not often that you get to participate in the huge tailgate with all your friends and family before the big game. Not everyone you want to go to a game with has season tickets, people who do have season tickets can be located all over the stadium, and you just don’t get the opportunity to pregame like you want to before kickoff. 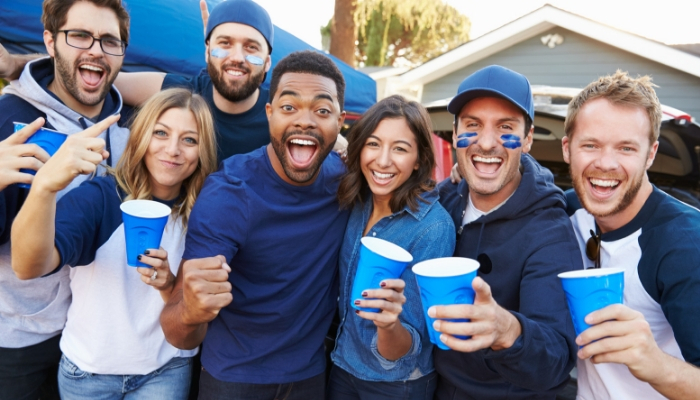 With our party buses and limousines, tailgating starts as soon as you’re ready! You can bring all the adult beverages you’d like for your celebration, and you’ll be celebrating responsibly because none of you or your friends or family members will be behind the wheel. Don’t Wait – Schedule a Party Bus or Limousine Today! Our weekends fill up fast, but that doesn’t mean all hope is lost. If you contact us quickly, we can let you know what vehicles we have available for this month’s home Saints games, so you can start planning your big day with your friends and family. Call us today to see what vehicles we have remaining this November at (985) 875-0723.